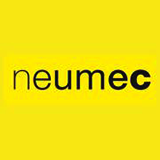 Over the past two decades, Neumec Group has developed over 300,000 square feet in Mumbai. In recent times, through focused efforts, we have expanded our horizons. We have numerous projects in the pipeline adding up to over a million square feet of development. Approvals are already in place for the next big expansion that will lead to the development of over eight million square feet. Our projects span the length and breath of Mumbai and are located at vantage points in Cuffe Parade, Napean Sea Road, Tardeo, Worli, Lower Parel, Vile Parle, Andheri, Goregaon, Borivili, Dahisar, Bhuleshwar, Mazagaon, Wadala, Chembur, Ghatkopar, Vikhroli and Mulund. Residential, Commercial and Retail - you will find an optimum mix of all categories in our projects across the city. Neumec's mission, held closely to its heart, is to be an integral part of the development of Mumbai, wherein every resident gets to enjoy a lifestyle that reflects the greatness of this city and also helps Mumbai earn its rightful place as a world class city.